Materials: Flame-figured bigleaf maple with inlaid minerals. Finished with aniline dyes and musical instrument lacquer. 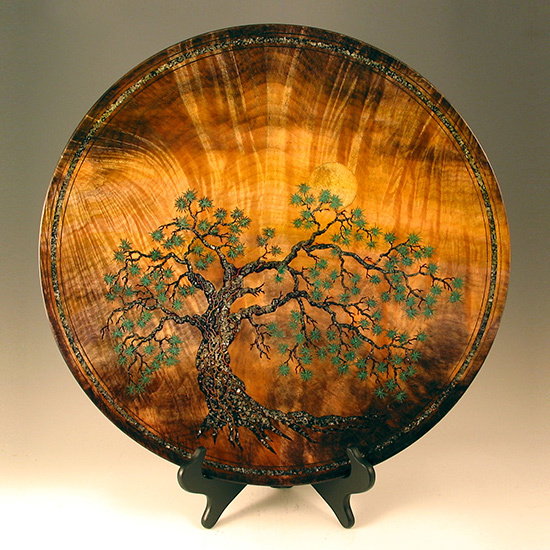 Comment: Featured in the American Association of Woodturners juried exhibit Spirit of the Southwest. Acquired by the Gunthers — woodturners and collectors extraordinaire.